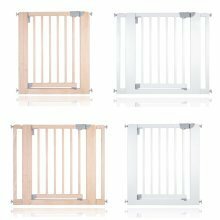 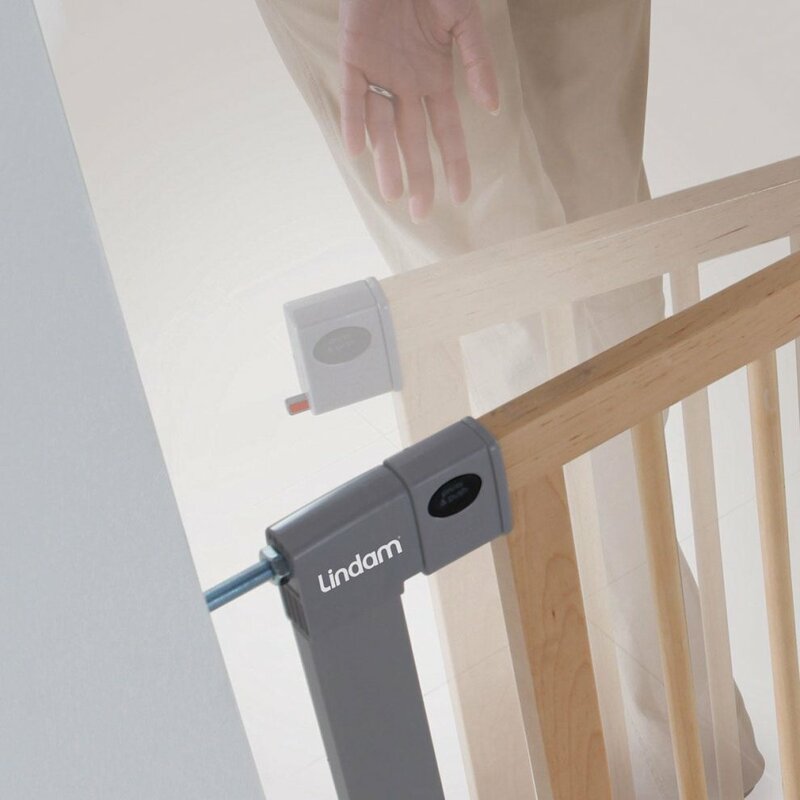 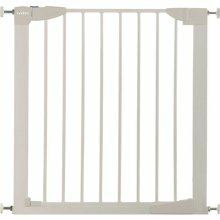 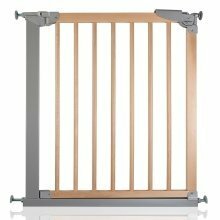 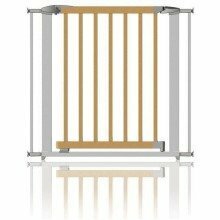 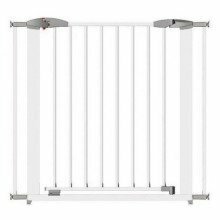 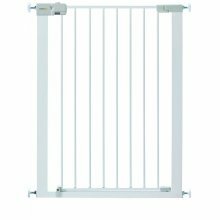 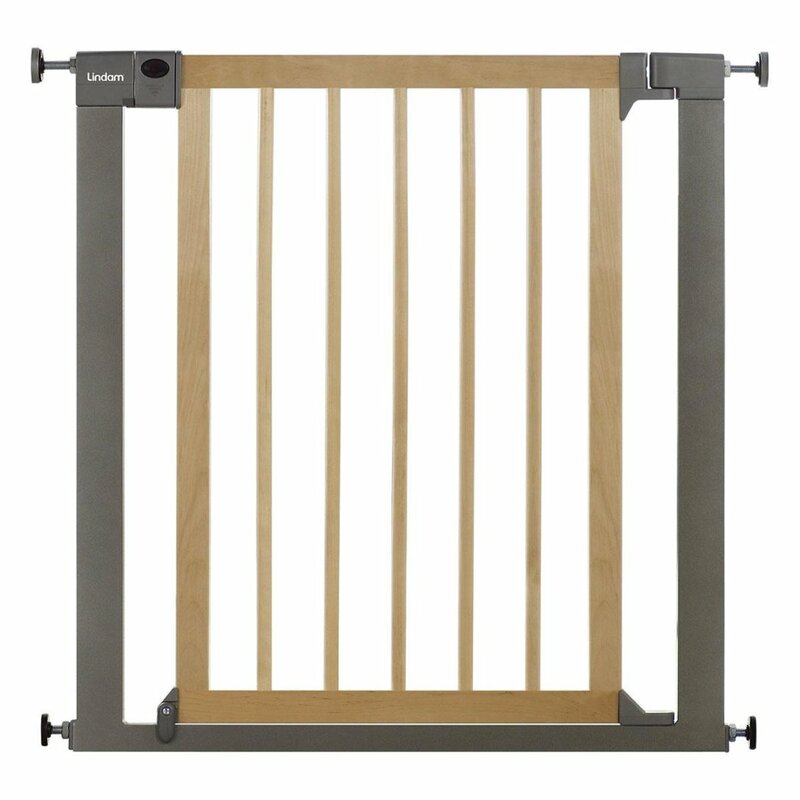 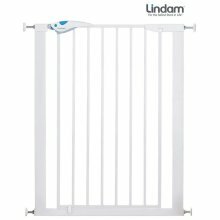 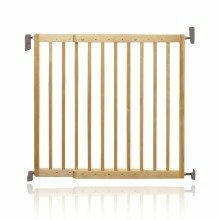 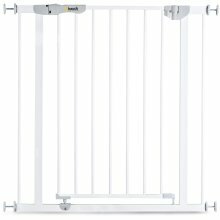 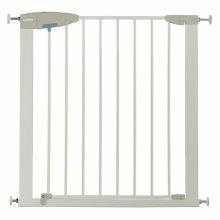 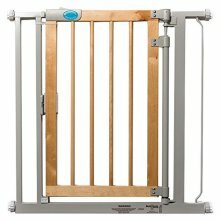 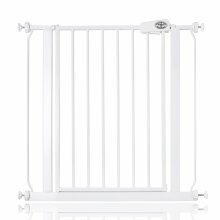 The Lindam Sure Shut Deco Safety Gate Natural Wood & Silver Metal boasts a 'push to shut' closing mechanism which requires no fiddly alignment to close. 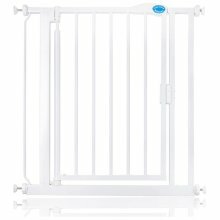 Just a firm push and it will click into the closed position, great for busy mums and dads. 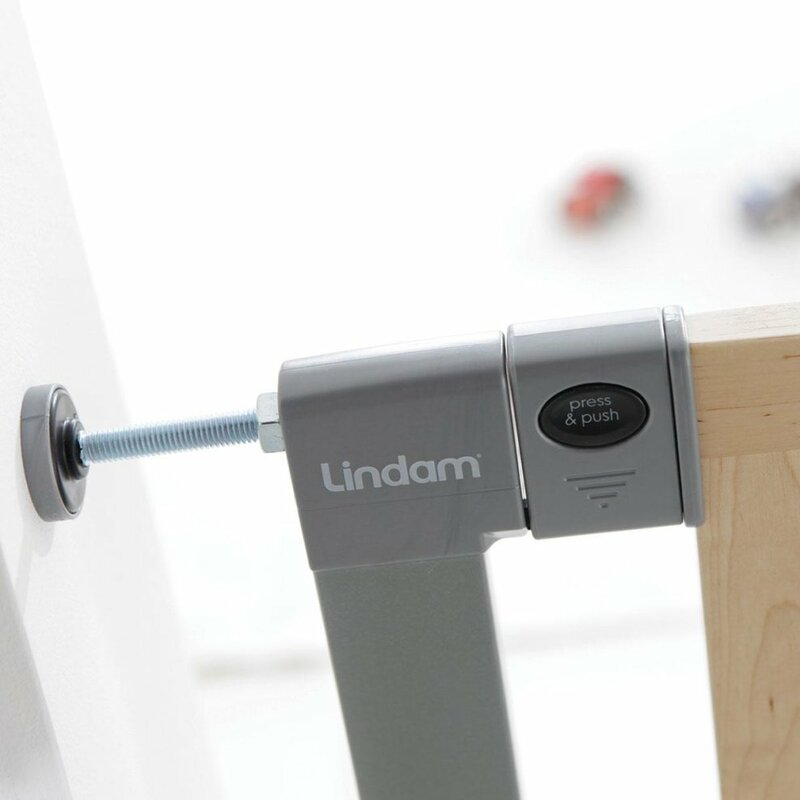 The Lindam U-shaped pressure fit 'power frame' gives ultimate strength when in position. 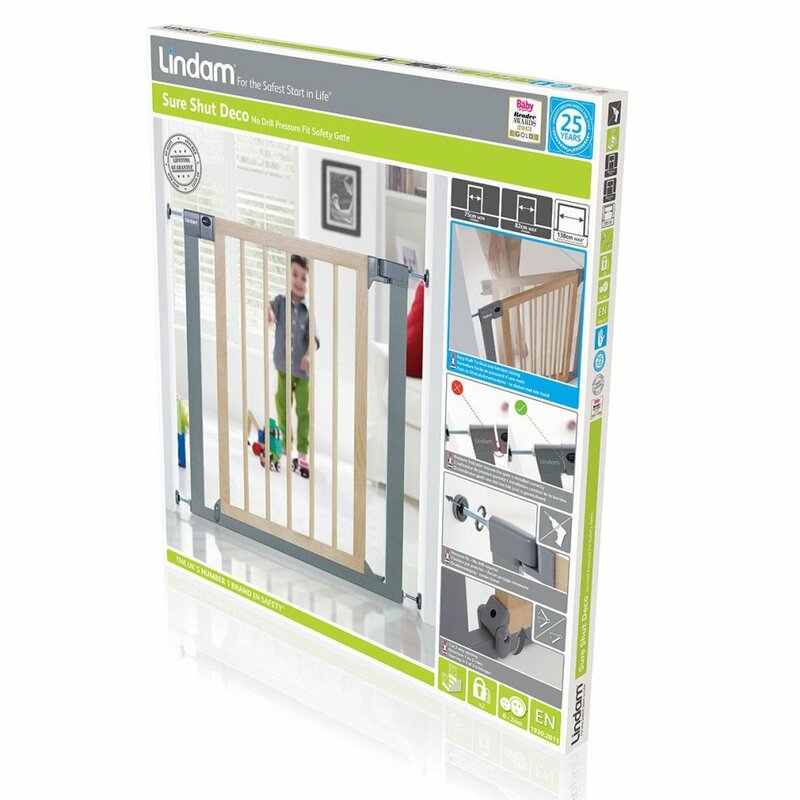 A two way opening system and secondary locking mechanism provide added safety. 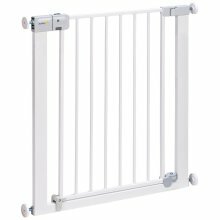 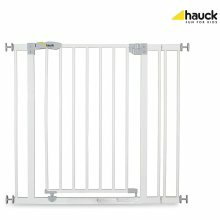 The stylish combination of materials and softly contoured components on the Deco safety gate will complement modern interiors perfectly. 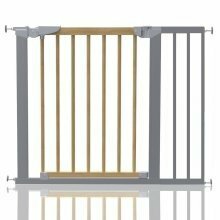 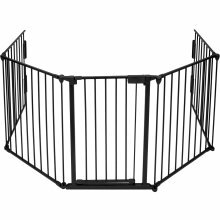 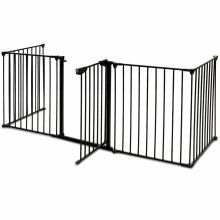 The handle design allows simple one handed opening and all Sure Shut gates feature wider walk-through areas for practicality. 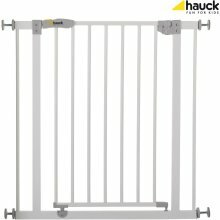 Suitable for openings between 75cm and 82cm and can be extended up to 138cm with separately available extensions.